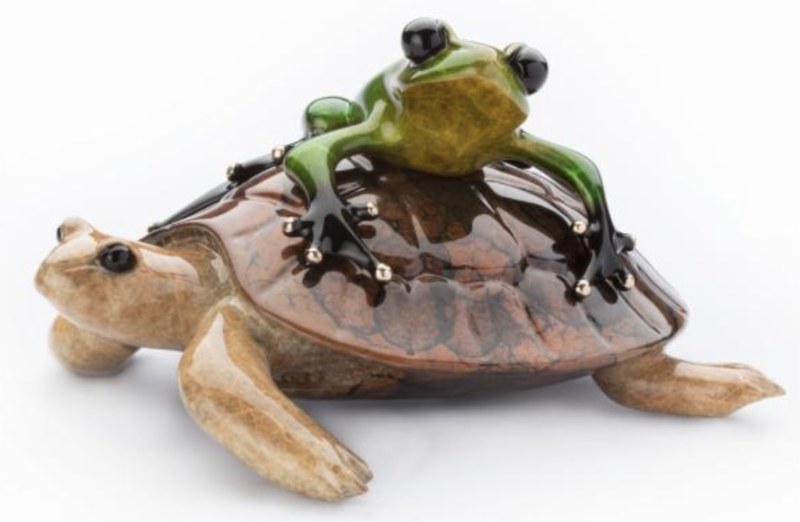 Easy Rider, Tim Cotterill's latest, couples an unlikely pair in one delightful sculpture. 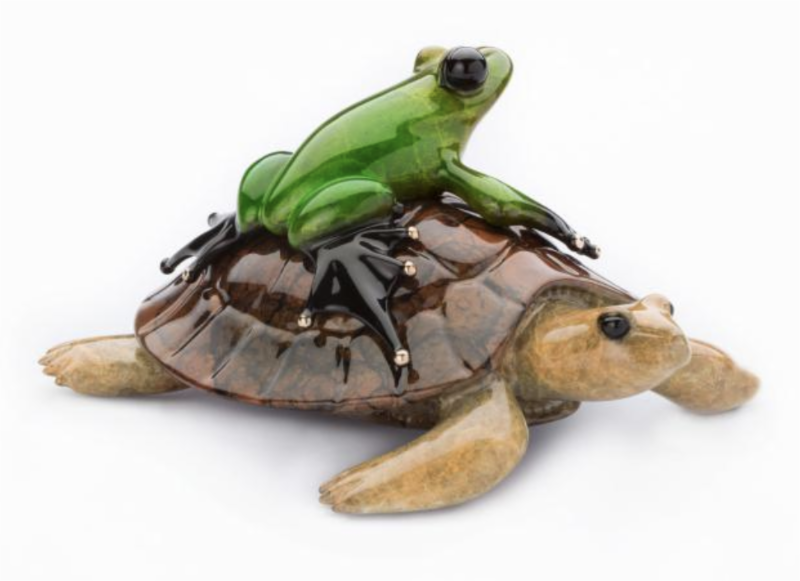 A grassy green frog clings tenaciously to the back of an unsuspecting tortoise, hitching a ride to the pond. The textured, mottled brown shell of the tortoise provides the ideal accommodation for this audacious frog. Hopefully, he is not in a hurry! and insures all over the globe.